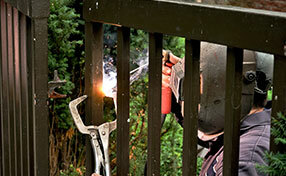 For questions about door maintenance and gate repairs, you will get answers from experts here. When should I replace my gate? There are times when gates become worn out due to wear and tear and the ever changing weather. According to experts at Gate Repair Castaic gates especially those made of wood need to be replaced when most of the wooden parts are already rotten. When these parts can no longer be repaired then it is time to replace and change the whole gate. Rusty steel gates also need to be replaced. What security feature is best used in a gate for a community? There are times when a gate is installed for a community. With this scenario a telephone entry system is recommended. A telephone entry system is programmed through a dial up internet connection. The names of all the residents are stored so they can have access to the gate. Visitors are given pre-programmed numbers that would enable them to gain entry. This system is very organized for a community. Can I do gate opener maintenance myself? While our experts strongly recommend that maintenance of a gate opener should be left to the gate service company, you can regularly clean the exposed parts of the mechanism. Also, oiling the hinges, wheels, and other moving parts of the gate can be done on your own. Can I install pressure edges for my automatic opener system? 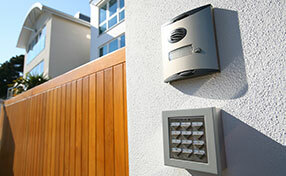 Gate opener systems vary. Some require more pressure edges, some require less. Others need pressure edges at certain locations to function properly. These installations cannot be done by everyone as these pressure edges should be fitted accurately for different types of gate system models and gate sizes. 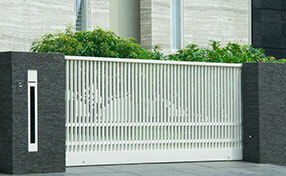 How can uphill swing gates be made durable and stable? There are instances when uphill swing gates are the only option. To make these gates strong and stable, it is advisable to use an uphill hinge and a bi-parting style gate to properly deal with the distinctive distribution of weight in this setup. When using a gate operator, it is important to have one that is equipped with a ball joint arm. What material should I use for new gates? A common and apt recommendation for new gates is wrought iron or steel gates. Sturdy, stable, and more resistant to weather damage, wrought iron gates can keep unwanted people out, while lasting a long time. Wooden gates are also an option, but don't last as long, need more maintenance, and are generally more expensive. Weigh your options carefully. How often should I clean my gate opener? Gate openers should be cleaned every month or perhaps every two months. Letting dirt build up around the motor and tracks if you have some, can lead to huge disruptions in performance. If left long enough these components can fail completely and require replacement.